Alex Cai loves to outwit, outplay, and outlast, but he’s not playing Survivor – he’s fencing. Each time Alex Cai walks onto the piste and stands in the en garde position, he’s competing to become the sole survivor. The 17-year-old Grade 12 Toronto student won the Vancouver Canada Cup Junior Championship in January, 2017 and the Canadian National Championship in Men’s Seniors in April, 2017. At the Copenhagen Satellite World Cup in May, 2017, Cai finished 13th in Senior Men’s foil and in October, 2016 he placed 6th in Men’s Cadets at the North American Cup in Detroit. “I love the independence of the sport and enjoy the sense of competing, but not just the hitting: I like trying to outwit your opponent,” says Cai, who trains 18 hours a week. “Fencing is like physical chess. You need to think a lot in the sport. You can have the best physical traits, like speed and strength, but if you don’t use it in the best way, it’s useless because smarter fencers can pick you apart. “You can still succeed even if you’re not as physically talented as other fencers. The most important thing is playing smart,” says Cai, who began taking fencing lessons at TFC when he was nine years old. 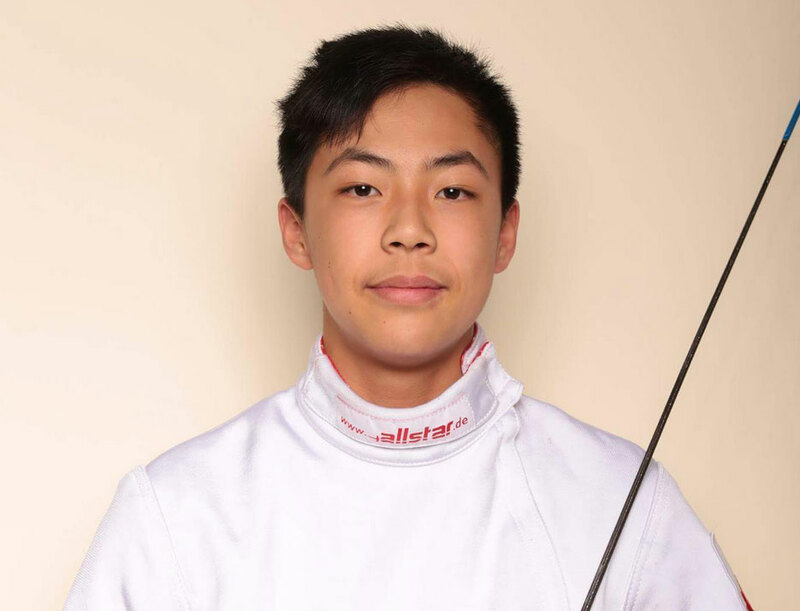 Cai says fencing has helped him grow as a person and learn to balance school and athletics. Cai says his coach Peter Ho has been his rock over the last eight years. “Peter Ho is one of the biggest influences in my life. He’s like a father-figure and he’s given me a lot of nuggets of wisdom and has shaped me into a more mature person. Peter’s enthusiasm for learning is something I strive to emulate. “The amount of time and effort Peter spends teaching his students is ridiculous. He gives guidance to every single one of his students and treats everyone equally and makes me a better person too,” Cai says. “Alex is really talented. He’s got a great attitude and work ethic. He’s one of the best students I’ve ever trained,” says Ho, who is also a seasoned physiotherapist. Cai stands out in his academic and extra-curricular endeavours too. He has maintained a 93% average each year since Grade 9 at Marc Garneau Collegiate Institute’s TOPS program. This is an enriched program for students who excel in maths, sciences and language arts. Cai won the Gold Medal at the Toronto Science Fair in 2015, and he volunteers at two Toronto physiotherapy clinics in his spare time. Cai plans to study science or kinesiology in university and join the varsity fencing team.